Meet the Teacher: Printables, Ideas, and Tips! We all know that first impressions are important and Meet the Teacher is no exception! 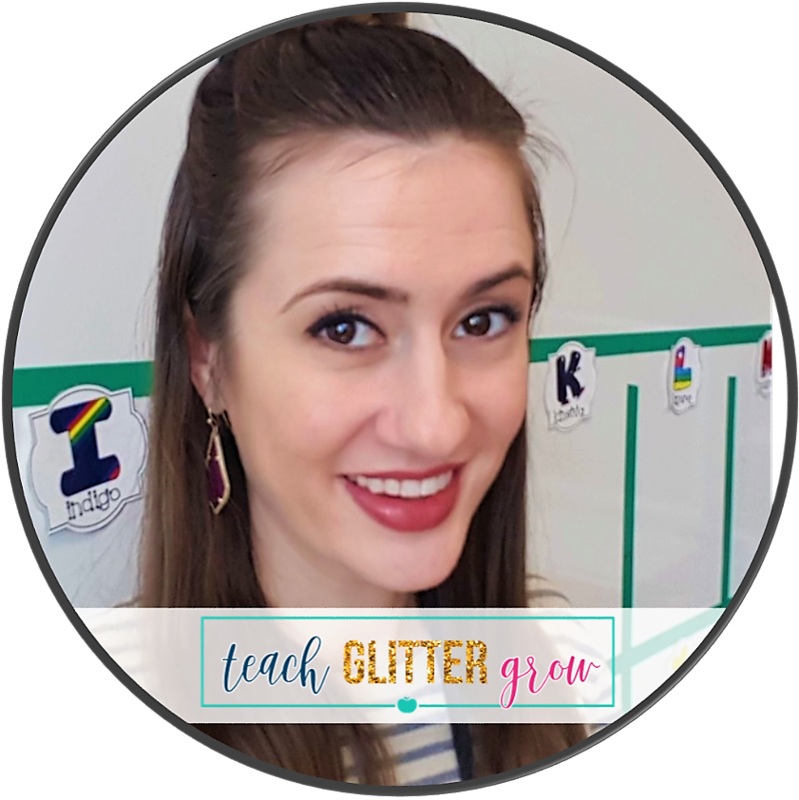 A well thought out and organized meet the teacher gives parents a wonderful first impression and helps reassure them their child will be in good hands. 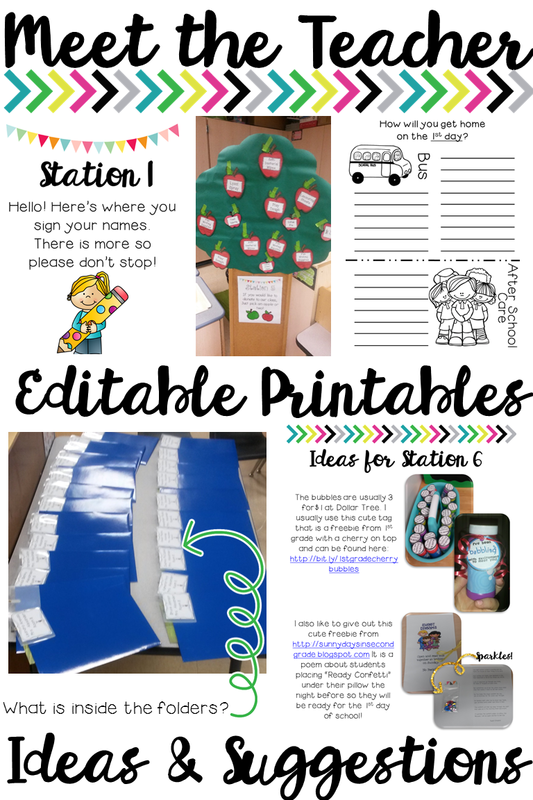 For meet the teacher, I like to do stations this has parents spread out around the room as they trickle in instead of clustering around 1 area. When parents arrive, I hand them a poem that leads them through the stations. 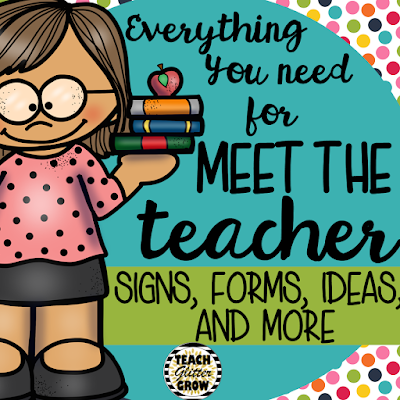 I know how hectic back to school can be and there is a lot of pressure on making a good first impression during meet the teacher. To relieve some of that stress, I have created a product that has EVERYTHING you will need for a successful Meet the Teacher night! 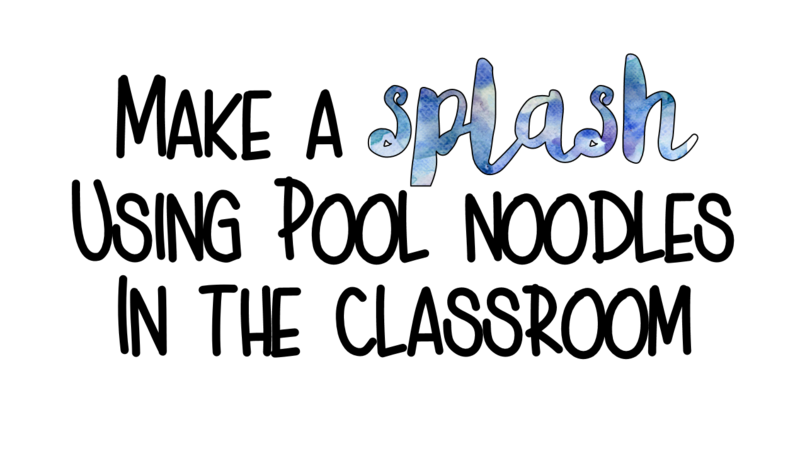 With this pack you can print and go or use many of the editable pages to customize signs, forms, etc. to meet your classroom's needs. To check out this product, click the image below! One more suggestion: Meet the teacher is a time to meet your students and their families, ensure students that you are not a big scary monster, and ensure parents that their child is in great hands and will be getting the best education possible this coming school year. That being said, meet the teacher is also a time to set expectations with both parents and students. While explaining all of the things you are going to do this year, don't forget to take this time to be very clear about what you expect from the students as well the parents. Right now is the perfect time to stock up on a fun, versatile manipulative for your classroom... POOL NOODLES! 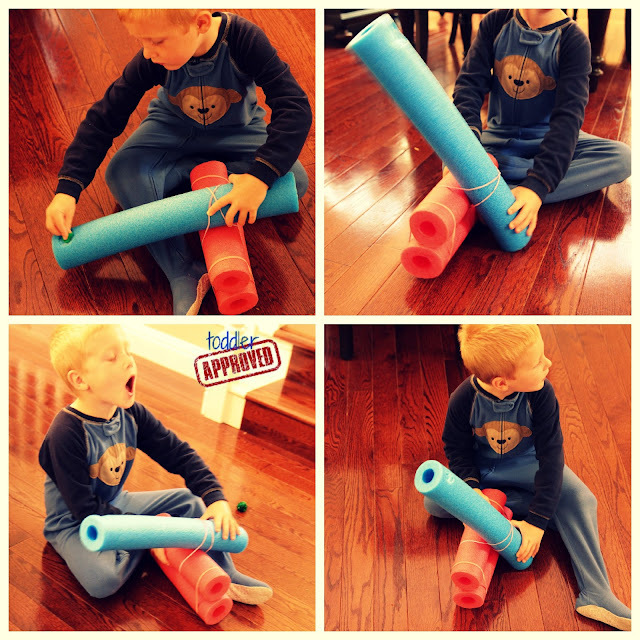 Here are the top 7 ways I have found to promote engagement and learning using pool noodles! All you have to do is cut your pool noodle into sections and write capital and lowercase letters on them with a permanent marker. To practice matching capital and lowercase letters, students can build towers stacking the capital letter on the lowercase letter. 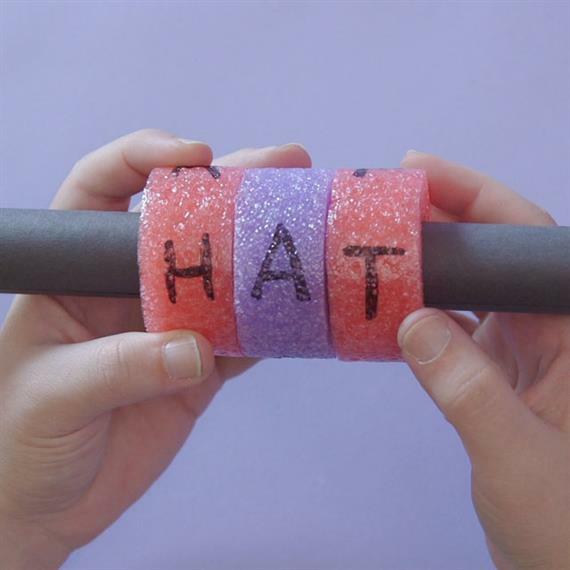 To practice ABC order, students can string pool noodles on a rope in the correct order. To practice letter ID, students can go "fishing" for letters. They can use a skewer, wooden dowel, thick plastic straw, or even a pencil as a rod. Students will then try and "catch" a letter by putting their rod through the center of a noodle and lifting the letter out of the basket. Finally, students must identify the name of the letter they caught. 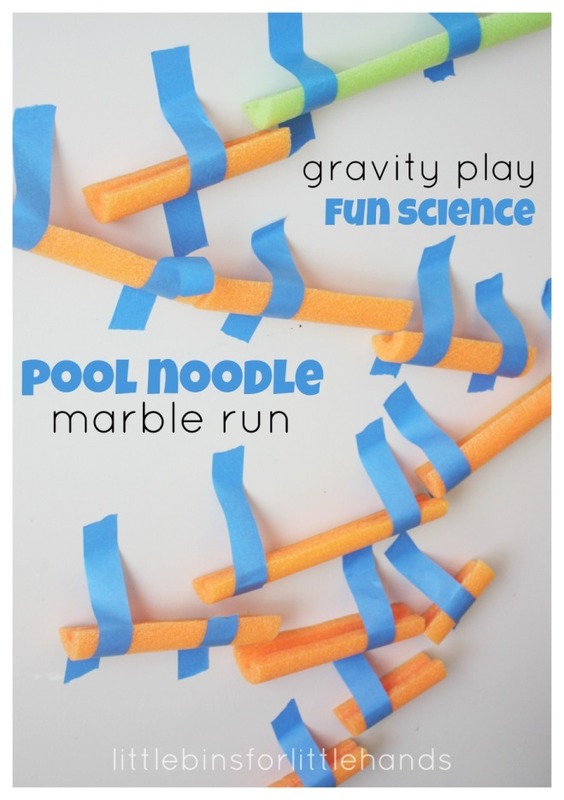 For this activity, cut 2 different color pool noodles into equal sections. 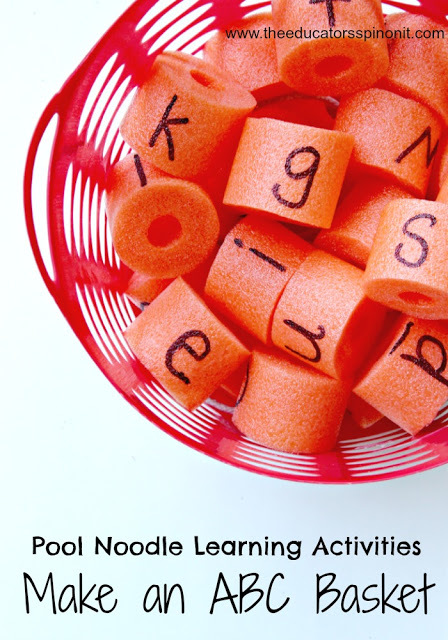 Write several different letters on each pool noodle section (vowels on 1 color, consonants on another) so that students can spin the letters to form new words. 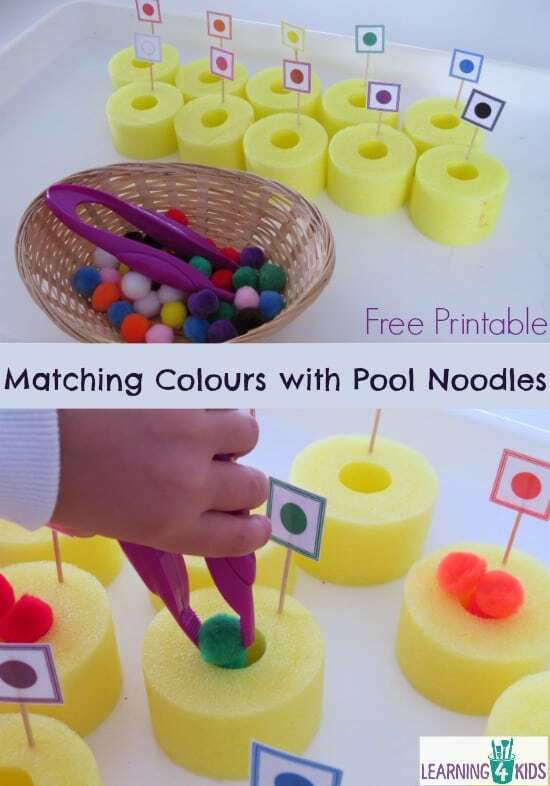 To do this activity, gather several different colors pool noodles and cut them into sections. 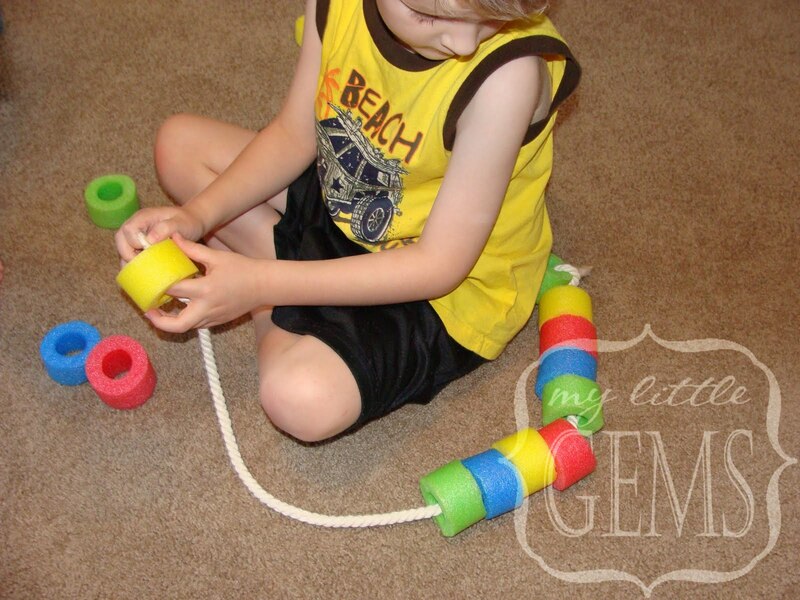 Students can then copy patterns, extend patterns, or create their own patterns by stringing the pool noodle sections onto a rope. To create this activity you will need a pool noodle cut into sections, toothpicks, pompoms, tweezers, and either dot stickers, markers (to color the toothpicks) or the dot printable pictured above (click the word source under the picture to access the printable). Using the tweezers, students can have fun sorting the pompoms into the pool noodle with the cooresponding color. An extension would be to count how many of each color they had or to graph the pompoms by color. This fun activity only requires 2 pool noodles, a few rubber bands, and a pompom to catapult! Depending on the age and ability level of students, they can either design and build their own catapults or they could help give you ideas and guide you, the teacher, through creating one. Students can modify the design, make predictions, and test different catapults to see which one makes the pompom fly the furthest. Students could also test catapulting different materials and see which one goes further. This STEAM activity is easy to prepare and is always a hit with the kids! All you need are a few pool noodles cut into sections and a box of toothpicks. You can challenge students to build the tallest structure with a set number of pool noodle sections or just let their imaginations run free! With a marble, a roll of painters tape, and a few pool noodles, students can practice all kinds of problem solving and critical thinking skills! Cut pool noodles into different size sections then cut the sections in half length wise. Challenge students to use a certain number of section, start from a certain height, or see who can build the tallest or longest marble run! I don't know about you but I cannot wait to hit up Dollar Tree and stock up on pool noodles to try out these activities in my classroom! Have you ever used pool noodles in your room? Comment below, I would love to hear how!